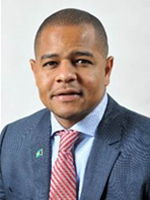 Mr. Deveaux is a Consultant at Ministry of Financial Services where he provides technical assistance in international trade and financial services. Prior to this role he served as the Executive Director at the Securities Commission of The Bahamas during two stints between 1997 and 2015. Hillary is well respected for his extensive experience in the capital markets, his broad and deep knowledge of the securities industry, extensive international contacts and exposure, and for his passion for the development of the securities and financial services sector in The Bahamas. Mr. Deveaux has served as General Manager of the Bahamas Agricultural and Industrial Corporation and held various positions internationally, including Money Market Manager at Chemical International Finance Ltd., New York, and Project Officer for the Caribbean Development Bank in Barbados. He has also served as the Chairman of the Free Trade Area of the Americas Negotiating Group in Services and was a member of The Bahamas Trade Commission. Mr. Deveaux holds a BS degree in Economics from Iowa State University, an MS degree in Economics from the London School of Economics and a Diploma in Development Studies from Cambridge University. Ansel Alexander Watson is a professional accountant with a broad range of knowledge and experience in finance, banking, operations, investments, mutual funds, accounting and audits. 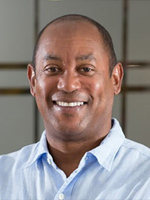 Mr. Watson is President and CEO of Investar Securities Ltd. and has worked previously with Ansbacher, SG Hambros, MeesPierson, and Deloitte in Toronto and The Bahamas over the past 30 years. He is a Chartered Accountant and Chartered Financial Analyst charterholder. Mr. Watson held the positions of Director of Finance & Risks, Head of Finance & Operations and Vice President of Financial Control with several financial and international institutions. Throughout his career, Mr. Watson was strategically involved in the transition of Ansbacher (Bahamas) Limited to new ownership and the growth and acquisition of investment fund operations. 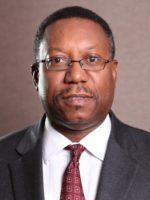 Mr. Watson served on the Bahamas Institute of Chartered Accountant’s (BICA) Council for several years as well as Chairman of the Continuing Professional Education Committee. He is a member of BICA and CFA Society The Bahamas. He is a distinguished past President and Treasurer of the Rotary Club of New Providence. Mr. Watson currently serves on several boards, including the Cable Bahamas Cares Foundation and the Catholic Board of Education. 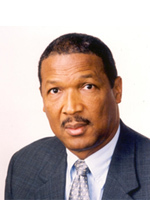 He previously served as Deputy Chairman on the Board of Directors of Bahamas Electricity Corporation/BPL. Mr. Bastian attended ATI Technical Institution in Miami, Florida and several other personal development/technical programs which has prepared him to oversee the diverse investment portfolio business interests he has engineered. Sebas is a young, ambitious and industrious individual with extensive managerial and operational experience in the business field having launched business ventures in the Electronics, Telecommunications, Gaming, Real Estate and Construction industries. He was successful in the Satellite Dish business in the 90’s, being on the forefront of the growth phase of that business when his annual sales peaked at just over $2 million. He had the foresight to recognize when the technology was changing which precipitated his exit at the dawn of the new millennium. Mr. Bastian was also the largest distributor of Phone Cards at its peak in The Bahamas. He was able to creatively find ways by which to package and bundle the cards to maximize revenue and profits, generating annual sales of around $12 million before exiting that business. His next and enduring venture was entry into the Gaming industry by forming Island Luck. Even though Island Luck only entered the Gaming Business in 2009, in those seven short years through Mr. Bastian’s ingenuity and business acumen they have become the leaders in that industry with their sales averaging over $100 million per annum and a customer base of over 40,000. More recently, Mr. Bastian has delved into the real estate development business and has managed to build up a portfolio of over $70 million in assets comprised of prime residential and commercial properties. These assets generate annual sales in excess of $9 million. He also started an IT enterprise which owns Gaming software that services Island Luck and other Gaming Operators. A Radio and Television Studio has recently been added to his diverse portfolio of holdings. In addition to his local investments he also has investments abroad in countries like Jamaica, Belize, and Malta. Mr. Bastian is also the founder of IL Cares and the Own Foundation which are instrumental in the promotion and funding of local aspiring entrepreneurs. He has the vision, drive and ambition which set him apart as an extraordinary entrepreneur to be admired and emulated by business aspirants. Mr. Godet is a businessman involved in the manufacturing and real estate sectors. As a property developer, he is the owner of a number of commercial properties that are under long term lease to the Government, as well as other residential rental properties. With a strong entrepreneurial spirit, and the expertise of a mentor and family friend, Mr. Godet founded Scottdale Bedding in 1993. He is committed to aligning the company with the top international bedding brands to supply high quality products and the best customer service in the industry. Scott is also the entrepreneur behind National Fence Company, specializing in the fabrication and installation of both commercial and industrial fences. Mr. Godet is a graduate of Northern Illinois University, with a Bachelor of Science in Accounting and Business Management. Mr. Mortimer, an attorney-at-law, is the principal of Mortimer & Co. and the President of Campbell Shipping Company. He is also the founder of the LJM Maritime Academy, a high-tech maritime school that is an engine of maritime sector development and education in the Commonwealth of The Bahamas. 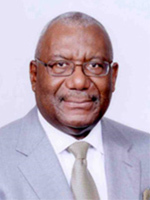 An educator and jurist in the public service for many years, Mr. Mortimer began his career as a biology teacher within the Ministry of Education in 1964 and would later serve as Acting Stipendiary & Circuit Magistrate, Acting Registrar General, and Chairman of the Copyright Royalty Tribunal. His Chairmanship of the Education Loan Authority, his Co-Chairmanship of the National Scholarship Advisory Committee, and his membership of the Council of the College of The Bahamas underscored his love for the discipline of education and the development of our young people. For his contributions to nation building, he was named Distinguished Officer of The British Empire (OBE) on the Queen’s Birthday Honours List in 2009. Mr. Mortimer is the non-resident High Commissioner of the Commonwealth of The Bahamas to India and has previously served as the Honourary Consul-General for the Republic of Turkey. He is currently a Director of Abilities Unlimited, is a Vestry member of Christ Church Cathedral and is Chairman of its Endowment Trust.